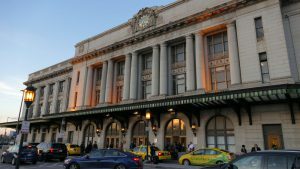 Amtrak’s Office of Inspector General (OIG) audit, released Nov. 9, states that the passenger railroad service is capable of reducing the cost of service and inspection activities by adjusting workloads and staffing and by managing overtime. Depending on the extent of the recommended changes that are implemented, the report said Amtrak could put an estimated $2.3 million to $6.4 million to better use. Amtrak has a total of 62 locations nationwide where it services and inspects trains, which include 12 larger preventative maintenance facilities and 50 smaller outlying sites. While developing the report, auditors focused on operations at Amtrak’s 50 smaller outlying service and inspection sites, evaluating opportunities to cut costs. 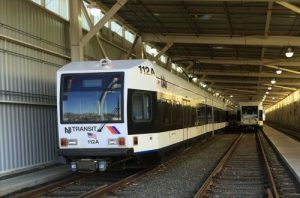 Federal Railroad Administration-required safety inspections are conducted at these sites to include cab signal tests, brake tests and interior and exterior inspections. Additionally, Amtrak employees or contractors at the sites clean restrooms and café cars, wash windows, vacuum the cars, pump waste from toilets and replenish cars with potable water. Various equipment repairs are also carried out at the sites. Of the 50 sites, 16 are staffed by Amtrak employees and the remaining 34 sites are staffed by contractors. When considering cost reduction opportunities, the OIG found some work conducted at four service and inspection sites in Michigan and Missouri could be done at the service and inspection areas within Chicago’s preventative maintenance facility. OIG auditors also assessed route schedules for trains that originated or terminated in Chicago and established that several trains were in Chicago every 24 hours. Preventative maintenance facility employees in Chicago are already responsible for cleaning the trains and have the capacity to conduct the additional FRA-mandated safety inspections, according to an Amtrak official cited in the report. The four Michigan and Missouri sites may still require the capacity to clean trains, however, a minimized workload would enable staffing adjustments for service and inspections, the report states. The OIG identified potential savings opportunities at 11 other preventative maintenance facilities, as well. Depending on the amount of additional inspection work that could be performed at the service and inspection areas of the preventative maintenance facilities, the OIG estimated that Amtrak could better use $1.4 million to $3.9 million. When reviewing four other service and inspection sites staffed by Amtrak employees, the OIG said employees worked standard eight-hour shifts even though the sites did not have enough service and inspection work to fill a full shift. 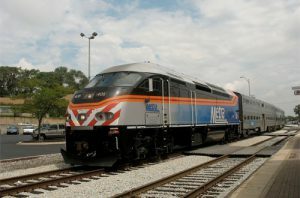 For example, Amtrak’s Heartland Flyer train is scheduled to be at the Fort Worth, Texas, service and inspection site for five hours per day, but, due to track constraints, service and inspection employees can only work on the train for three hours. However, the employees involved work a full eight-hour shift. While a portion of the eight-hour shifts are used by employees to complete other tasks like gathering tools and supplies, they do not require a significant amount of time to complete, according to the report. Company officials cited in the report said staffing levels were based on a historical preference to ensure sites had a full complement of staff to quickly mitigate incidents that might arise at a site or along a train’s route. However, the OIG said for Amtrak it found the practice results in inefficiencies. Across all 16 service and inspection sites, including the four sites at which the OIG found a lack of enough service and inspection work to fill an eight-hour shift, employees received overtime payments in addition to their base wage in the 2017 fiscal year. Overtime payments above base wages ranged from 11 percent to 38 percent per employee at the sites. In Kansas City, Mo., employees received an average of more than $27,000 in overtime payments per individual. The OIG also established that managers at some sites did not know why or how much overtime their employees were earning. The situation did not enable managers to manage employee overtime or ensure the overtime was necessary. By better managing overtime and reducing it when possible, the report states that Amtrak could better allocate an estimated $900,000 to $2.4 million for better use. 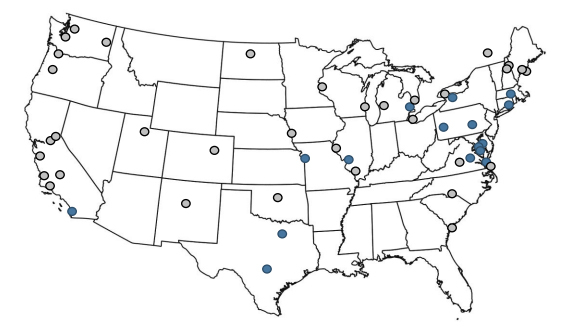 In response to its findings, the OIG recommends that Amtrak consider the extent to which it can operate more efficiently at its service and inspection sites, including actions such as identifying opportunities to shift work from these sites to the service and inspection areas of preventative maintenance facilities, reducing unnecessary full-time positions at sites without a full-time workload and better managing the amount of overtime that staff incurs at service and inspection sites. Amtrak officials agreed to implement all of the OIG recommendations, a statement said.